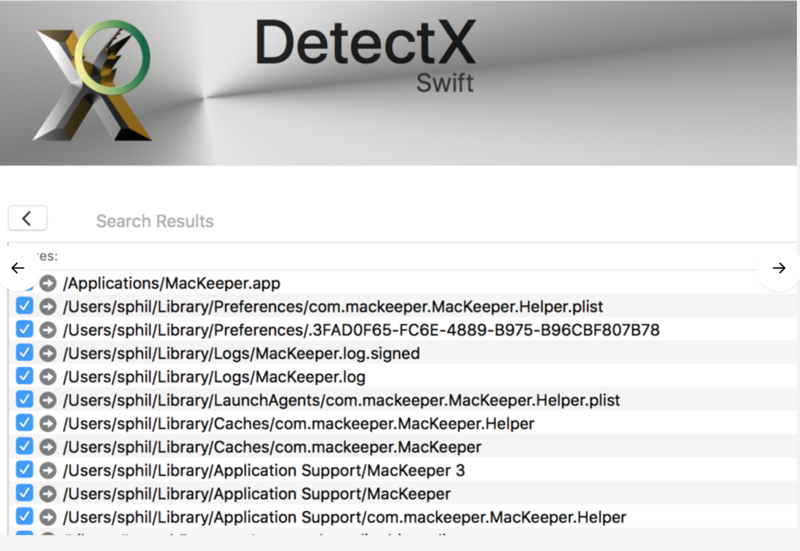 Last week I added MacGo’s Mac Media Player.app to DetectX’s search definitions after finding that the installer was delivering MacKeeper on unsuspecting users. After a support call asking me whether the MacGo player itself was malicious, I decided to look into what was going on in a bit more detail. 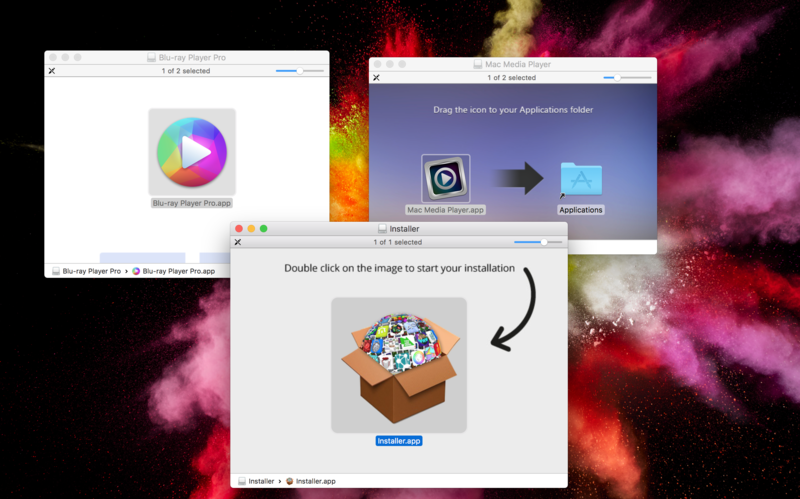 Downloading the Mac Media Player from the developer’s site rewarded me with a DMG file called Macgo_Mac_Media_Player.dmg, and mounting that revealed the Installer.app (pictured above). Examining the package contents of Installer.app had a few surprises. For one thing, the bundle identifier (a reverse domain-name style string used to uniquely identify an app on macOS) was the oddly titled com.throbber.tipcat, and the executable binary file was named hemorrhoid. Examining both the binary and other files in the Installer bundle revealed some heavily obfuscated code that is really quite unusual to see in anything except malware. That gave me pause to try and run the Installer in the lldb debugger and see exactly what it was up to, but – also another sign of malware – the Installer.app appears to have been coded precisely to stop that from being possible. Every time I tried to attach the debugger to the Installer’s process, the installer quit with “status = 45”, a sign that the debugger is being deliberately thwarted. 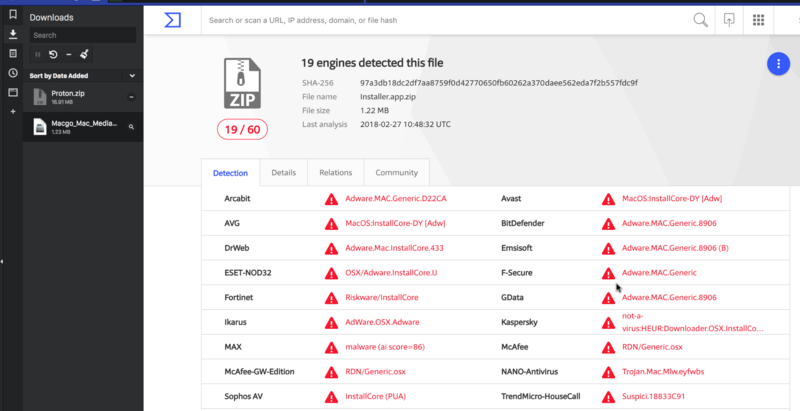 Finally, just to confirm my results, I uploaded the installer.app to VirusTotal, and found that it was a variant of the InstallCore strain of adware. That pretty much wraps up the case against the installer, but what about the Mac Media Player app and its related version the Macgo Mac Blu-ray Player Pro? It seemed as far as I could tell that the apps themselves were ‘clean’. 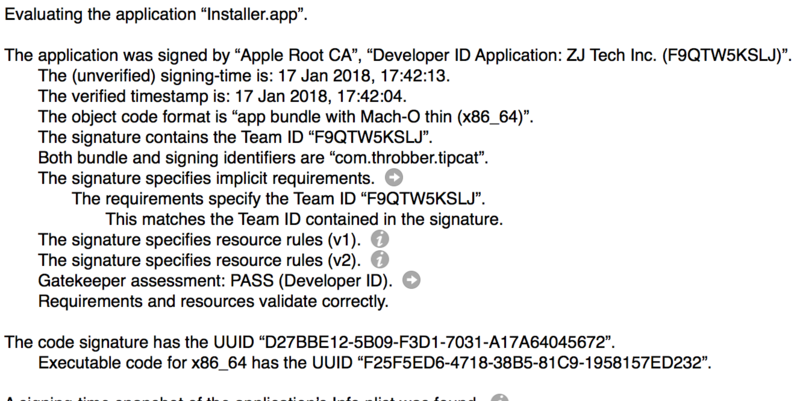 However, RB AppChecker Lite reveals that the installer and both the apps are signed with the same Apple Developer ID, ZJ Tech Inc, F9QTW5KSLJ. That pretty much rules out any possibility that the developers had been unknowingly compromised. 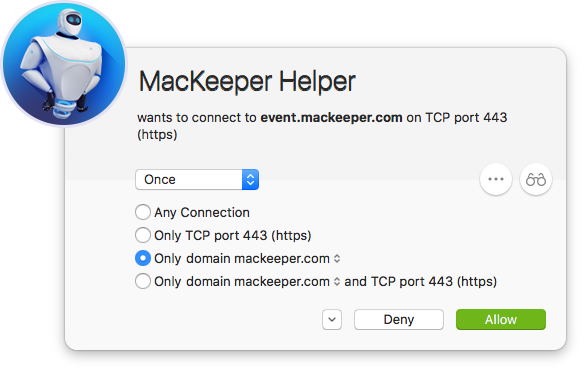 Clearly, ZJ Tech are quite happy to distribute their software to customers and do a stealth install of MacKeeper at the same time. Presumably, there’s some financial pay-off for them in doing that. Given that ZJ’s media players also seem to be little more than copies of VLC.app, it seems there’s pretty good reason enough to avoid using their products. I’ve been using Slack quite a bit recently, but I’m still not that confident with its text formatting options. Sure, they’re simple enough, but when I’m on a workspace with a 10-minute editing timeout and I’ve a heavily formatted message to send, there’s plenty of chance I might not get the formatting just the way I want in time. Hmm, that’s a bit disappointing. What to do? 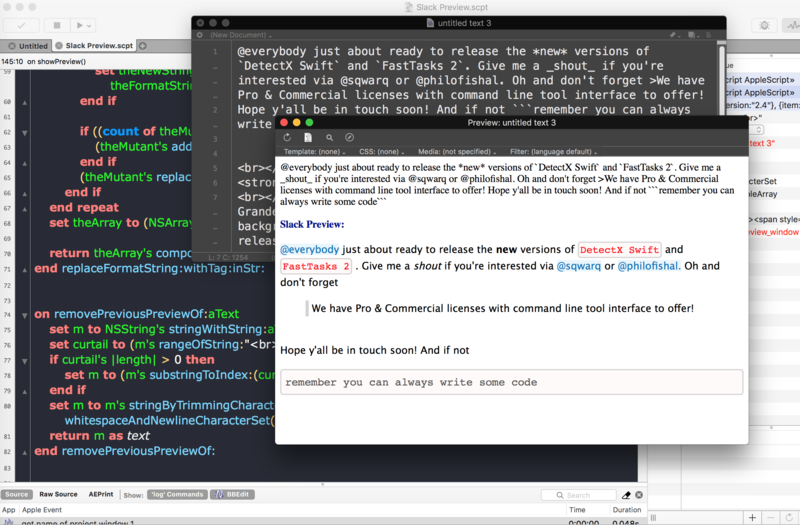 Well, turn to my two favourite apps, BBEdit and Script Debugger, and knock up my own preview editor, of course! 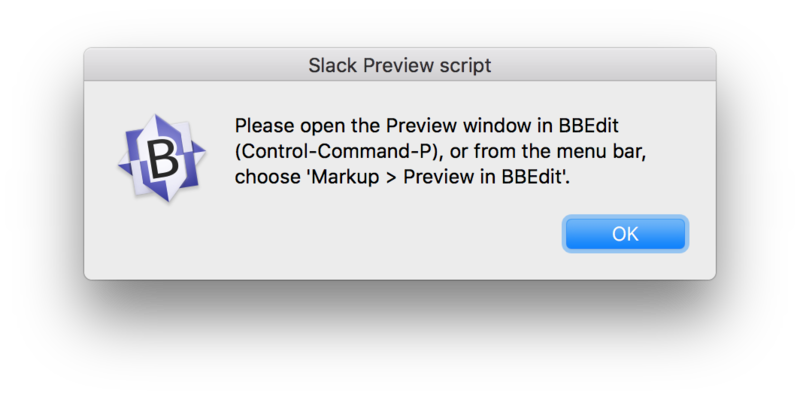 This only works if you have access to BBEdit’s advanced features (either you’re still on the trial or you bought a license) as you’ll need the Markup menu and its ‘Preview in BBEdit’ option (Control-Command-P) for this to work. You’ll find the script available in the menu bar, but it’s going to be more convenient to use the keyboard shortcut. 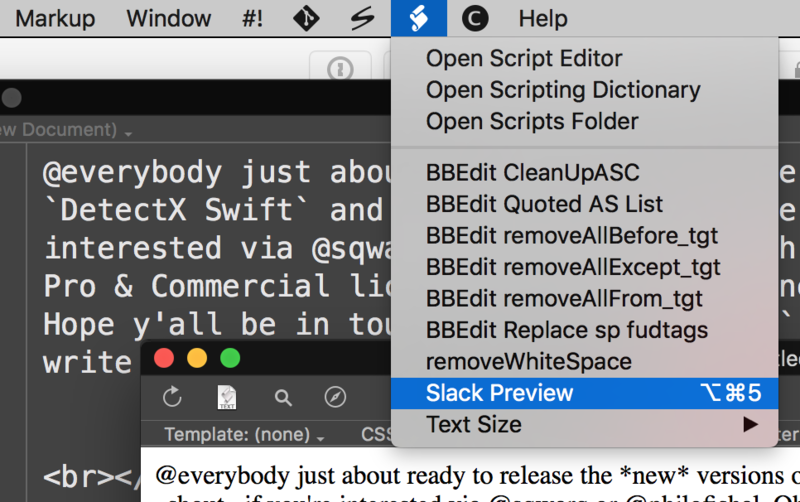 You may also need to muscle-memory the shortcut for opening the Preview window (Control-Command-P) if it isn’t open already when you run the script. Finally, here’s a little 1-minute video showing the script in action. You’ll note from the screenshot at the top of this post that I’ve improved the styling a bit since the video was made to more closely emulate the default Slack style, but those of you with better CSS skills than I are welcome to fiddle with that to suit your taste. So what are you waiting for? Oh, you missed the link to the script? Here you go, then. I was lucky enough to get a great tip from MalwareBytes’ Thomas Reed this week on the possibilities of code hijacking. Thomas was kind enough to share details of a talk he gave at MacTech last year, in which he demonstrated how some 3rd party apps are susceptible to having their binaries replaced by a fake binary even when the original application is properly code signed with a valid developer’s signature. The vulnerability lies not so much in the code signing itself, but in the mechanism for when and why it gets checked. 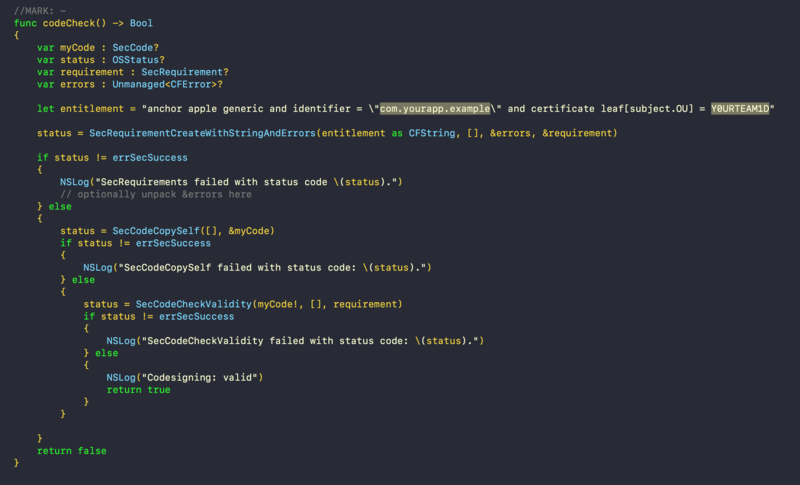 In short, code signing is checked when an app is first launched, but after that, except in a few special situations, macOS’s security mechanisms pretty much ignore it. That means once an app has passed GateKeeper, it’s a ripe target for attackers to come in and replace the binary with one of their own. In order to ensure the app on disk is still in fact the app that was downloaded and first launched, developers need to implement a check on each launch. If you’re using Swift, some example code for doing that (pictured above) is available from my pastebin here. 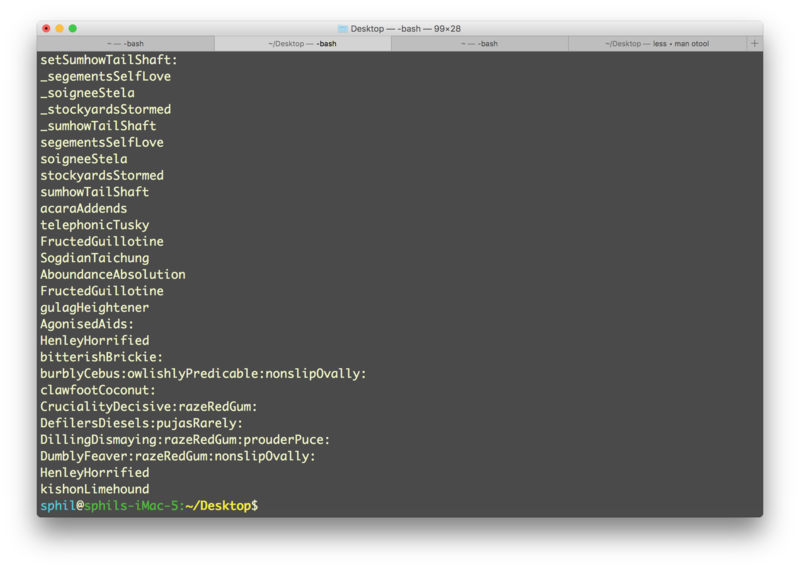 I’ve also got a version for Objective-C, adapted from here. With that information, the function verifies that the application in memory meets the requirements specified in the entitlement.